AvtoZvuk (which means ‘Auto Sound’ in Russian) was started in 1998. 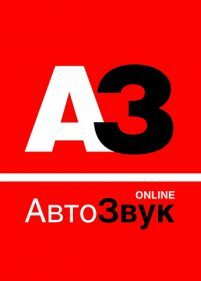 Since then, A3 (as the readers themselves have abbreviated it, later it was adopted as an alias of the original name) very soon became the most popular magazine in Russia, specializing in mobile infotainment: car audio, multimedia, navigation and communication. The target audience of the magazine is wide, ranging from beginners to professional installers, dealers and audio engineers. Readership research has shown that A3 is read in practically every installation shop in the country. Our most important publications are equipment and component tests, which include studies and measurements in our own laboratory, auditions and detailed photo sessions made in-house. Another important and popular kind of publications is featured cars – review of completed installation projects, which in fact are field tests of components in real conditions. We regularly publish news from car audio industry, reports from car audio competitions, shows and special events, educational materials and hands-on experience of amateur enthusiasts. In 2014 A3, now referred to as A3 ONLINE, became the first member of EISA publishing solely in digital form. Free of limitations applied by print, we were able since then to make our publications even more detailed and our response to the novelties – much faster. Having published on the Web our 15 years deep archives, A3 ONLINE very soon became a nationally recognized reference in all matters related to in-car infotainment.